bushra is using Smore newsletters to spread the word online. A high-level programming language developed by Bjarne Stroustrup at Bell Labs. 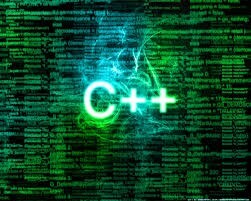 C++ adds object-oriented features to its predecessor, C. C++ is one of the most popular programming language for graphical applications, such as those that run in Windows and Macintosh environments. 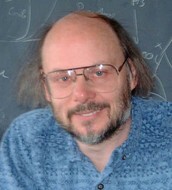 Bjarne Stroustrup is a Danish computer scientist, most notable for the creation and the development of the widely used C++ programming language. most of the programs are partially or completely written in C or C++. Apart from these applications there some operating systems written in C++ programming language. These include Windows 95, 98, 2000, XP, Apple OS X, Symbian OS and BeOS. All major applications of adobe systems are developed in C++ programming language. These applications include Photoshop & ImageReady, Illustrator and Adobe Premier. Some of the Google applications are also written in C++, including Google file system and Google Chromium. Internet browser Firefox and email client Thunderbird are written in C++ programming language and they are also open source projects. MySQL is the world’s most popular open source database software, with over 100 million copies of its software downloaded or distributed throughout its history. Many of the world’s largest and fastest-growing organizations use MySQL to save time and money powering their high-volume Web sites, critical business systems, and packaged software — including industry leaders such as Yahoo!, Alcatel-Lucent, Google, Nokia, YouTube, Wikipedia, and Booking.com. Winamp is the ultimate media player, allows you to manage audio and video files, rip and burn CDs, enjoy free music, access and share your music and videos remotely, and sync your music to your iPod , Creative, and Microsoft Plays for Sure devices . Winamp features album art support, streams audio and video content, and provides access to thousands of internet radio stations and podcasts. esearch institutes, construction companies and mining consultants. Providing real-time financial information to investors. callas software develops pdf creation, optmisation, updation and pdf form creation tools and plugins. These are the world leading motion analysys programs and film scanner systems. Operating systems written in C++ programming language. Few parts of apple OS X are written in C++ programming language. Also few application for iPod are written in C++. Literally most of the software are developed using various flavors of Visual C++ or simply C++. Most of the big applications like Windows 95, 98, Me, 200 and XP are also written in C++. Also Microsoft Office, Internet Explorer and Visual Studio are written in Visual C++. Symbian OS is also developed using C++. This is one of the most widespread OS’s for cellular phones.